The video below is very powerful, but also very intense. Just a warning: Brace yourself if you decide to watch it. 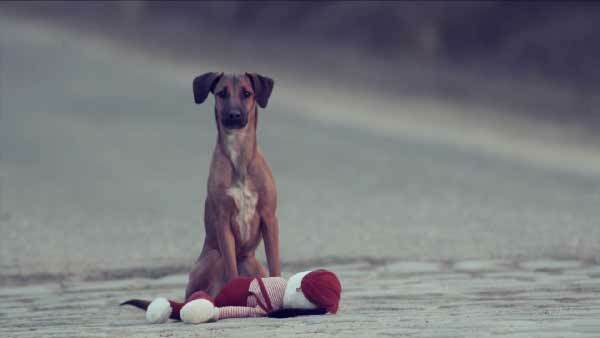 Produced by Zoetis, a Hungarian company that sells medicines for livestock and pets, the film, “Gift,” makes a statement both about abandoned children and abandoned pets. Without words, it tells the story of a family that adopts a redheaded girl and brings her into their home. As time goes on, she starts to seem less adorable and more … bothersome. 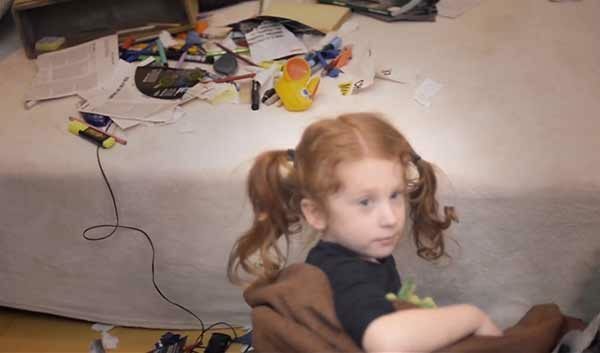 She gets in fights with the older daughter, bothers the father while he’s working on the computer, and messes up one of the rooms while playing — apparently from a combination of boredom, loneliness, and resentment. The “redheaded stepchild” after messing up the bedroom. That’s apparently the last straw for the family: The father takes her and her stuffed doll for a long drive and stops somewhere out in the countryside where there’s no one around. They could conceivably be the only people around for miles. 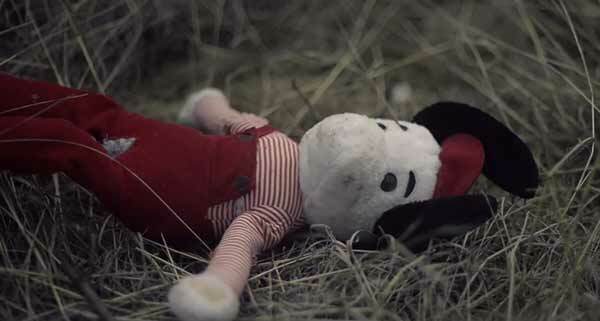 He throws the doll, and when she runs frantically to get it, he drives away. That, of course, is the flip side of pet adoption. We strive to get across the message that people should adopt pets from shelters instead of buying them from pet stores or breeders, but in either case, it’s important that they know what they’re getting into. Having a dog or other animal is a huge responsibility, and it’s not all beer and Skittles (or more appropriately, kibble and Frisbees). Sometimes it takes a lot of patience and time that you’d rather spend doing something else, just as with any other member of the family. The fact that a lot of people see only the cuteness and not the responsibility when they get a pet is why so many animals wind up back at the shelter or worse, stranded alone on the roadside. We made this short movie in order to draw attention to the abandoned, abused animals on the planet. I truly think that it is just as important to understand that whatever happens to an animal could also happen to a child. It is also a known fact that someone who abuses animals is likely to abuse human beings as well. This is why we thought that this strong resemblance between child and dog is important in this movie. We cannot turn our heads away from brutality and abusement in the world, and it doesn’t matter if it’s something that’s happening next to you, in your neighborhood, or in a far away land. As a filmmaker and human/animal rights activist, I think it’s important to make movies that could influence others to rethink or even change things for the better in their own lives or in the way things are happening around them. There can’t be any better reason for making a movie. It’s a beautifully made film, but once again, be careful and brace yourself before watching it. It has a kick.